Just a quick reminder, if you received a payment from the Market Facilitation Program, it is taxable and cannot be deferred. If you have any questions about this, please contact your tax adviser or our office. Do not become the victim of a tax scam! …and along with the tax season come tax scams! Indiana Farm Bureau is holding its annual state convention December 6, 2018 - December 8, 2018 at the Grand Wayne Center in Fort Wayne. If you are attending this event, be sure to stop by our booth! The National Business Institute is holding a Farm Business Law Seminar on December 7, 2018. Michelle Adler will be presenting a discussion on Medicaid Planning for Farmers and Tony Crowell will be presenting a discussion on Financing, Buying and Selling Farm Land and Businesses. If you have questions regarding these areas, be sure to call our office so we can help you! The Indiana Agricultural Law Foundation is holding its 5th installment of the Estate & Succession Planning for the Family Farm program on July 17, 2018. Dan Gordon will be presenting a discussion regarding Elder Care Planning and how not to lose the farm to the nursing home. If you want to know how to save your farm from the nursing home, contact our office today! The IRS has published the exact tax credit amount for 2018! 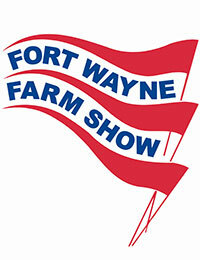 The Fort Wayne Farm Show is back! Come see us at Booth Number 1238. Dan Gordon and Michelle Adler will also be presenting a discussion regarding Financial Changes for the Family Farm on Wednesday, January 17th at 5:30 p.m.
As always, we look forward to seeing our existing clients and meeting new potential clients.